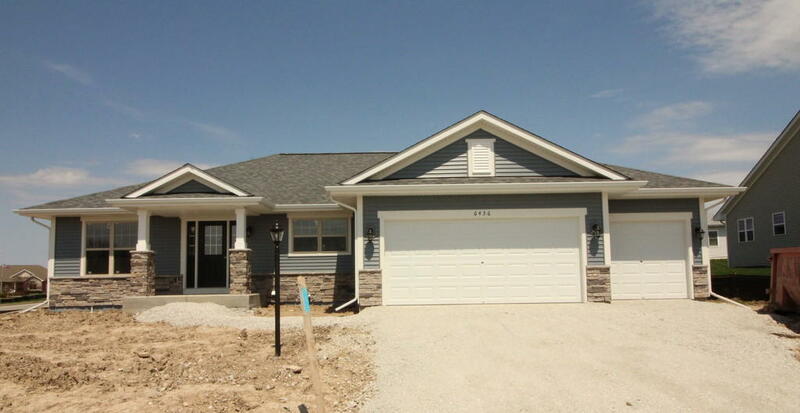 Beautiful new home construction in desirable Pheasant Creek. This stunning home features an open concept kitchen with granite countertops and island, impressive great room and dinette all with vaulted ceilings. This must-see home provides exceptional organization via a large first-floor drop zone and laundry room designed to meet the needs of all! This split-bedroom design features three bedrooms including a spacious master bedroom with box ceiling, walk-in closet and master bath with double sinks.